New Marvel Tsum Tsum Series 5 Blind Bags Now Available Online! 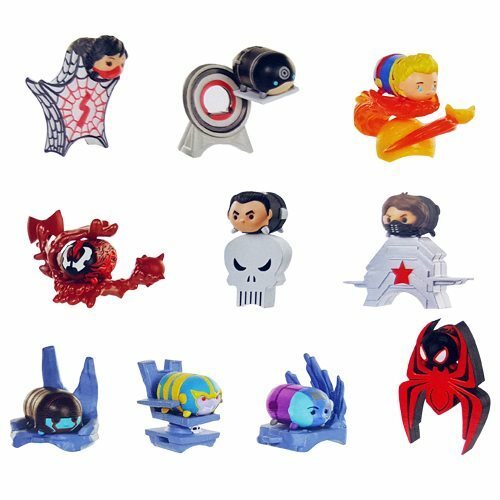 Home » Jakks Pacific » New Marvel Tsum Tsum Series 5 Blind Bags Now Available Online! The newest series of Marvel Tsum Tsum Blind Bags are now available online. the new series includes a number of new Tsum Tsums including Bullseye, Captain Marvel and Carnage. The entire series includes 10 different Tsum Tsums and an accessory. Click on the link below to order the new Marvel Tsum Tsum Series 5 Blind Bags today. Order Marvel Tsum Tsum Blind Packs Mini-Figures Wave 5 Case from Entertainment Earth! Previews of the new Marvel Tsum Tsum Blind Bag Series #4 by Jakks Pacific! New Disney Tsum Tsum Series 7, 8, 9 and 10 Blind Bags and 3-packs by Jakks Pacific now Available for Pre-order! New Disney Tsum Tsum Blind Pack Series 8 Now Available Online! Previews of the upcoming Disney Tsum Tsum Series 7 Blind Bags by Jakks Pacific! Marvel Tsum Tsum Blind Packs Series #3 Case Now Available from Entertainment Earth! New Marvel Tsum Tsum Series 6 Blind Bags Begin to Surface!